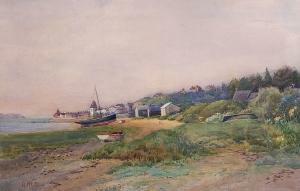 Find artworks, auction results, sale prices and pictures of Robert J. M. Buchanan at auctions worldwide. Robert J.M. 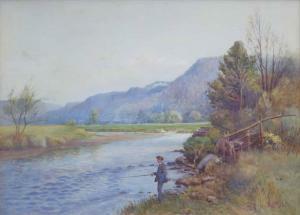 Buchanan, 19th/20th century, Extensive river landscape with boy fishing, initialled, watercolour, 49 x 70cm. ; 19.25 x 27.5in. Condition Report: The painting is in good, original condition with strong colours. There are a few surface scuffs and marks to the paper and a few minor spots of foxing. The painting is framed and glazed. 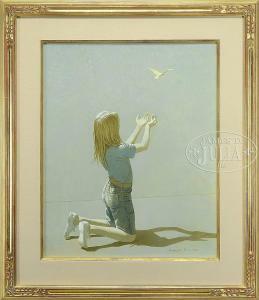 Lot 1244: ROBERT R VICKREY (American, 1926-2011) "SETTING FREE THE BIRD STUDY".